Renovations to the Normand Bouchard Memorial Theatre have been prolonged after $7,300 worth of equipment was stolen from the construction site. UBC Film Society theatre manager Dama Correch says that almost all of the theatre’s sound and projection equipment was either stolen or damaged during the Life Building’s lengthy renovations. Stolen equipment includes a Blu-ray player and a Dolby digital sound processor, amongst other items. It’s unclear who could have stolen the gear, or when. The Normand Bouchard Memorial Theatre — often called “the Norm” — is located in the Life Building, formerly the Student Union Building, which has been slowly undergoing renovations since reopening earlier this year. 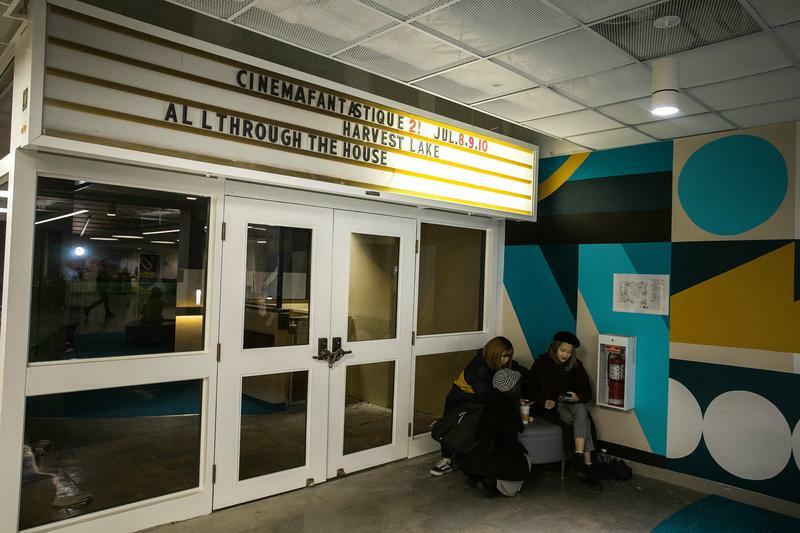 The UBC Film Society, which runs and maintains the Norm theatre, was operating under the impression that their team would have access to the theatre for the duration of the renovations of the Life Building. However, this was not the case. As a result, theatre equipment sat in the theatre largely unattended during renovations. Society members only discovered the theft by accident. “At some point in those two years, I wanna say it was maybe a year in, one of our executives, Mike Johnston, who was in my position at the time, went in to grab a DVD … we found that there had been a burglary,” Correch said. Because the Film Society did not have access to the space, they have not been able to determine when exactly the theft occurred. While the theatre had a padlock, Michael Kingsmill, the design manager and architect for the AMS, said the keys to the theatre would have been available to many individuals as construction workers required access to the electrical panels within the theatre. Kingsmill said he filed a police report with the RCMP, but said they felt that there was little chance of identifying the thief, due to the uncertain time of the theft and the lack of any clear suspects. Kingsmill added that the amount of dust in the theatre means obtaining fingerprints of suspects would prove challenging, as would the uncertain timeline in which the theft could have occurred. Correch said the theatre hopes to open its doors in January, but is unable to commit to a firm date.